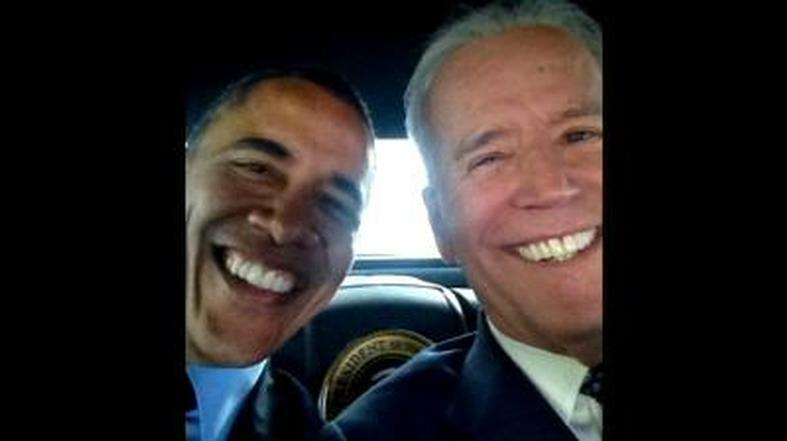 President Obama and VP Biden: Was it just horse play, insecurity, or do they have compulsive narcissist tendencies? Well, it should. As a member of the voting public, it should make you feel more than awkward seeing your top two chief executives engrossed in one of the most banal contemporary pastimes ever – taking a ‘Selfie’ [noun. a picture taken of a person, by that person]. ‘Gym Selfies’ are now some of the most popular forms of digital exhibitionism. No one is immune. Even celebrities who you’d think are already getting enough face time are still drawn to the cheap narcissistic released provided by the selfie. Yesterday, the digital oligarchs at Twitter declared 2014 as the ‘Year of the Selfie‘. According to executives there, the most popular, the most retweeted, ‘tweet’ of the year was by comedian Ellen DeGeneres at the Oscar awards last March – with her celebrity ‘friends’, including Bradley Cooper, Meryl Streep, and Julia Roberts and Brad Pitt. Her Tweet was ‘favorited’ over 2 million times and retweeted 3.3 million times. It later turned out that DeGeneres’s spontaneous selfie was just another corporate money-making scam, as was confirmed by the Wall Street Journal. Samsung executives even had to teach Degeneres how to use the Galaxy Note 3 device before the Oscars. Experts are now finding through new clinical studies, that this existing narcissistic mental disorder is now being further exacerbated by the introduction of hand-held technology and the ability to upload an image to a ready-made crowd of voyeurs in a matter of seconds. This entry was posted on December 16, 2014 by Amir Alwani. It was filed under consciousness, health, internet, news, science, social media, studies, videos and was tagged with selfie.